Activist legend Vivienne Westwood has designed a T-shirt exclusively for Farms Not Factories (featured in Milan fashion week). These limited edition T-shirts are now ready to order just in time for Christmas through our online shop and EcoHustler. They’re 100% organic cotton and ethically sourced. Help support our work by buying them at £30 each! Vivienne Westwood and her husband Andreas Kronthaler have adopted Farms Not Factories’ message for their MAN Spring/Summer 2015 collection: only buy meat from real farms, not animal factories. Like us, Vivienne and Andreas want to take back control of the food system. Right now, animal factories are responsible for animal abuse, threats to public health (due to antibiotic resistance), destruction of the environment and undermining real farmers and rural economies. Our new campaign, the Pig Pledge, asks people to boycott meat from animal factories by buying food and farming systems that put animals, people and the planet first. 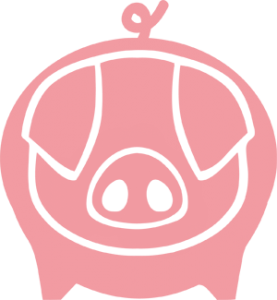 “For this show we are supporting the Pig Pledge which is a campaign to encourage people not to buy or eat factory farmed meat. Vivienne and I are both vegetarians but we are urging people who do eat meat to always find out where it is coming from and to avoid meat from animal factories,” says Andreas. Buying Vivienne’s T-shirts will help fund our series of short films that inspire people to make better food choices. 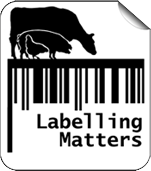 Find out more about Farms Not Factories’ and the Pig Pledge and watch our 3-minute film – and get hold of some great resources, including a labelling guide, an interactive high welfare directory and information on eating less and better meat – on our website. Join Vivienne and Andreas today by taking the Pig Pledge and becoming part of the movement for real farms, not animal factories!